The renovation of the Rijksmuseum started in 2000 and was completed in april 2013. The Spanish architects Antonio Cruz and Antonio Ortiz created a new Atrium, Asian Pavilion and service entrance. The new Rijksmuseum has 80 galleries (1.5km length) with more than 8000 displayed art objects. The entire collection consist of 1 million objects. Walking through the museum, visitors will get an idea of the Dutch history from 1200 till 2000. Inside is also a restaurant, two cafe’s, an exhibition space and a library. 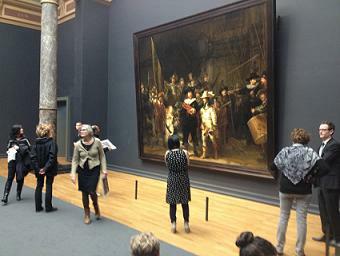 The Night Watch is a world famous painting and the master piece in the museum. It was painted in 1642 by the Dutch painter Rembrandt van Rijn (1606-1669). Besides the Night Watch there are several other paintings of Rembrandt. 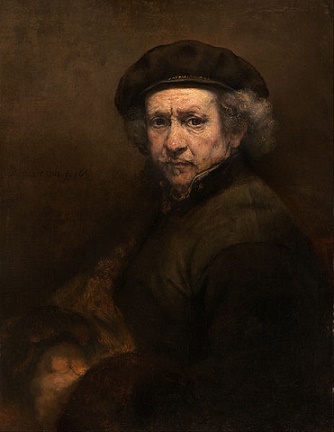 The newest acquisitions of Rembrandt are two rare portraits. Both 17th-century paintings were purchased by The Netherlands and France for 160 million euro from the Rothschild banking family. The two portraits will alternate between the Rijksmuseum in Amsterdam and the Louvre in Paris. If you want to know more of Rembrandts life than you can visit the Rembrandt House Museum in the heart of Amsterdam. In this monumental house lived and worked Rembrandt for 20 years. In the Rijksmuseum is a large collection paintings of Dutch masters as Rembrandt, Frans Hals, Johannes Vermeer and Jacob van Ruisdael. Entrance admission in 2016 is €17.50. Children under 18 are free. It is possible to buy your ticket online and print your own e-ticket. The advantage is that you don’t have to wait in line to buy your ticket but can walk directly to the entrance. The most quiet hours in the museum are before 10.00 and after 15.00. Most busy is in the weekend and in vacations. If you plan to vist several museums in Amsterdam you could consider to purchase the “I amsterdam Card”. This card will give you free use of public transport and free admission in most museums in Amsterdam. 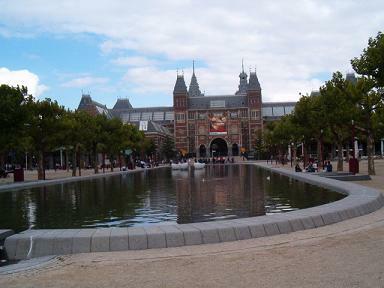 (including the rijksmuseum and Van Gogh Museum). Prices: 24 hours €55, 48 hours €65, 72 hours (€75) and 96 hours (€85). The 3 star Hotel Aalders has very good customer reviews and is closeby. It’s 3 minutes walking from the hotel to the Van Gogh Museum and 5 minutes to Rijksmuseum. Other popular hotels near the Rijksmuseum are Hotel Fita and Hotel JL N076. Both properties have thousands of good reviews. Less than 1 km away is the Leidseplein (Leidse Square), an area with restaurants, hotels, cafe’s, clubs and shops. At Leidseplein are a number of discount properties with good reviews as luxury hotels as the American Hotel and The Marriott.